With Aspire Switch 10, Acer comes back into the hybrid PC market with another affordable hybrid tablet/laptop which can be used as a tablet, a laptop and as a presentation device by just a flip of the display. At just $369, Switch 10 offers a thin profile and satisfactory performance for the money, making it one of the better choices in the category of entry-level hybrid laptops. The design of Switch 10 is very simple and similar to the Windows tablets Acer offered in the past. The chassis is mostly made from good quality plastic and aluminum, which shows no signs of flexing and thanks to its small size and tight construction, the tablet feels good in hand. The tablet connects with the keyboard dock through strong magnets and once connected it feels solid and sturdy while using. Once connected it is somewhat difficult to remove the tablet. It has a very slim and light profile, as a tablet it is only 0.35 inches thick and weighs 1.29 pounds, while with the keyboard dock, it is 0.8 inches thick and weighs 2.58 pounds. The Switch 10 comes with a variety of I/O ports including one USB 2.0 port on the keyboard dock, a mini-USB 2.0 port on the tablet, a mini-HDMI, a microSD card reader and a headphone/microphone combo jack. For wireless connectivity it is equipped with Bluetooth 4.0 and 802.11n Wi-Fi. Like most netbooks, Acer Aspire Switch 10 also features a 10-inch touchscreen display. The display panel features IPS technology and comes with a resolution of 1366 x 768 pixels which is inferior to the now common 1080p displays. While using as a laptop, the display feels sharp enough with vibrant colors, but when used as a tablet, text becomes pixelated and blurred with rough edges. When compared to rival tablets, the images don’t appear as crisp as they do on them. The display manages to reproduce only 67% of sRGB gamut. The screen has poor black levels with a contrast ratio of 480:1 and a brightness level of 320 lux. It comes with a decent pair of stereo speakers which are loud enough to fill a small room without any distortion. The keyboard dock with its magnetic hinge is very interesting and offers users different functions. With the dock, Switch 10 can be used in four different modes including presentation mode and as a kickstand for watching movies. Due to its small size, the keys are small, flat and cramped to the point that it becomes painful to type for those with large hands. The keys are stiff and need some time getting used to. The keyboard also lacks backlighting which is common in rival hybrid laptops. Below the keyboard is a large trackpad with integrated mouse buttons and multi-touch gesture support. The trackpad is 4 inches in size and comparable to what is found on most 13-inch laptops. Acer Aspire Switch 10 comes with Windows 8.1 out of the box with some preinstalled apps like Microsoft Office Home, Evernote, Hulu Plus, eBay and Student 2014. 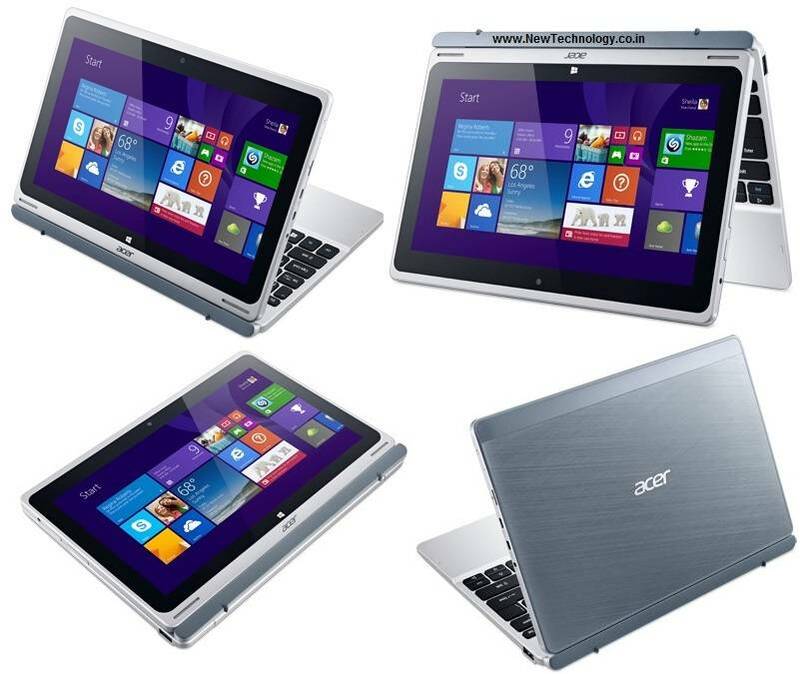 It is covered under 1-year limited warranty from Acer. Acer Aspire Switch 10 comes with Intel Atom Z3745 quad-core processor with Intel HD Graphics and 2GB DDR3 memory. The processor belongs to Intel’s latest BayTrail series of processors and is clocked at 1.33GHz with Turbo Boost speed of up to 1.86GHz. It also features a 32GB solid-state-drive (SSD) for storage, which can be expanded through the microSD card slot. With all this hardware combined, Switch 10 packs a punch and scored 2447 points in PCMark 7 test, while the Lenovo IdeaPad Yoga 2 11 scored only 1865 points. With its SSD, Switch 10 managed to boot Windows 8.1 in just 17 seconds, while the Venue 11 Pro with its 64 GB took 20 seconds to do the same task. On 3Dmark ice Storm benchmark, it managed to score 17,836 points, while Venue 11 Pro and Transformer Book T100 managed only 16,722 and 15,879, respectively. Here the IdeaPad Yoga 2 11 managed to lead and scored 21,364 points. While trying to play World of Warcraft, Switch 10 managed only 14 fps with graphics on auto which is lower than IdeaPad Yoga 2 11’s 20fps. 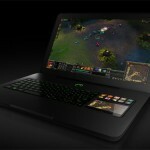 Switch 10 will not suffice as a gaming laptop but has more than enough power to fulfill all the multimedia like running HD content. Acer has fitted Aspire Switch 10 with a small 2-cell battery, which lasted 6 hours 34 minutes during the Laptop Mag Battery Test, while the Lenovo IdeaPad Yoga 2 11 lasted only 5 hours 19 minutes during the same test. Acer Aspire Switch 10 is Acer’s latest attempt at making a hybrid device with an affordable price tag and at just $369 Switch 10 is a hybrid laptop/tablet that can compete with the likes of Venue 11 Pro and Yoga 2 11 which costs $499 each.. With its slim and light design, long battery life and satisfactory performance, the Switch 10 offers the best value for money and is one of the best entry-level hybrid laptop.